The rapid growth of the Finnish games company is exceptional even globally. The unparalleled success story of the games company Supercell has created a number of new Finnish millionaires in just a couple of short years. The payday came on Tuesday when the firm announced a deal that will make two Japanese companies majority shareholders. The company is selling 51 per cent of its shares to the telecommunications operator SoftBank and GungHo Online Entertainment for roughly 1.1 billion euros, a dazzling sum considering Supercell was only founded three years ago. According to Ilkka Paananen, the managing director of Supercell, the company is striving to become a truly global games company, with the goal of gaining a strong foothold in Asia – in Japan, Korea and China, in addition to the western market. The deal will benefit the founders of the firm, Paananen and Mikko Kodisoja, also the creative director of the company, to the tune of 180 million euros each, with a further half a billion euros to be divided among employees, who are shareholders through a stock options programme. • Supercell is one of the most successful companies in the Finnish games sector. • Founded in 2010, the company released its first game Gunshine in 2011. 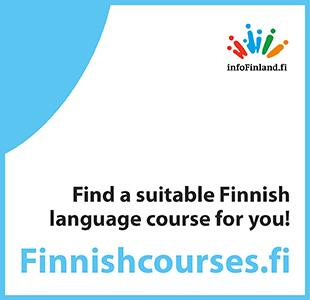 • The company’s managing director, Ilkka Paananen, is also one of its founders. • Supercell’s hit games include Clash of Clans and Hay Day, which allows players to try their hand at farming. • A large chunk of the turnover comes from in-app purchases. • SoftBank, Supercell’s new owner, is one of the biggest telecommunications companies in Japan and in the world, with a turnover of over 25 billion euros last year. • SoftBank’s founder and managing director Masayoshi Son has been ranked the third richest man in Japan by the financial magazine Forbes. • GungHo is a popular games company particularly in Japan. “We thought it outdated to put the company founders, investors and employees in different boats,” said Paananen. After the deal, 25 per cent of the company will remain under the ownership of the founders and employees, with investors retaining a similar share. SoftBank, the Japanese buyer, is one of the largest telecommunications companies not only in Japan but also globally. Ranked as the third richest person in Japan by the business magazine Forbes, Masayoshi Son, the SoftBank managing director, explained in the Supercell blog that his company had been looking for interesting investment opportunities all over the world. Paananen says that the initiative for the deal came from SoftBank, adding that the company is not a traditional short-term financial investor. The other buyer, GungHo, is a popular games company, particularly in Japan. In the deal, Supercell, which has grown rapidly, was valued at over two billion euros, an amount that is twice the value of the Sanoma Corporation and approaches that of the Kesko retail company. The price implies that the expectations for the company’s future are high. To meet these expectations, Supercell must not only grow rapidly but also keep on growing. Kari Korhonen, a senior technology adviser from Tekes, the Finnish Funding Agency for Technology and Innovation, believes that Supercell has got what it takes to maintain its rapid growth. According to Korhonen from Tekes, the success of companies such as Supercell serves to make Finland a more interesting investment opportunity for international players. “It’s important that Finland is in the headlines. Success stories also give rise to new start-ups,” says Korhonen.